Happy Monday, friends! Hope you had a nice weekend! We were outside in the glorious spring sunshine for a lot of it, and it made for a lovely time. But now we’re back to the grind, but one week closer to the summertime! Here’s what we’re having for dinner this week! 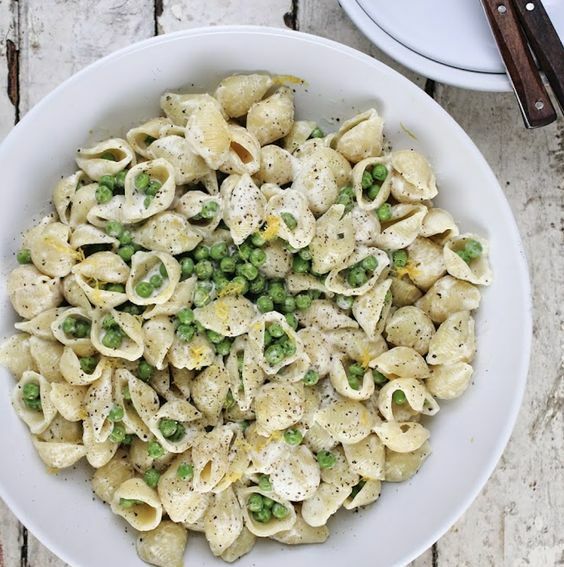 The picture is actually Boursin Pasta with Peas, but to be honest? Peas are one of maybe three foods that I really don’t like! So, I’m subbing in another fresh, seasonal veggie (and one of my faves), asparagus! 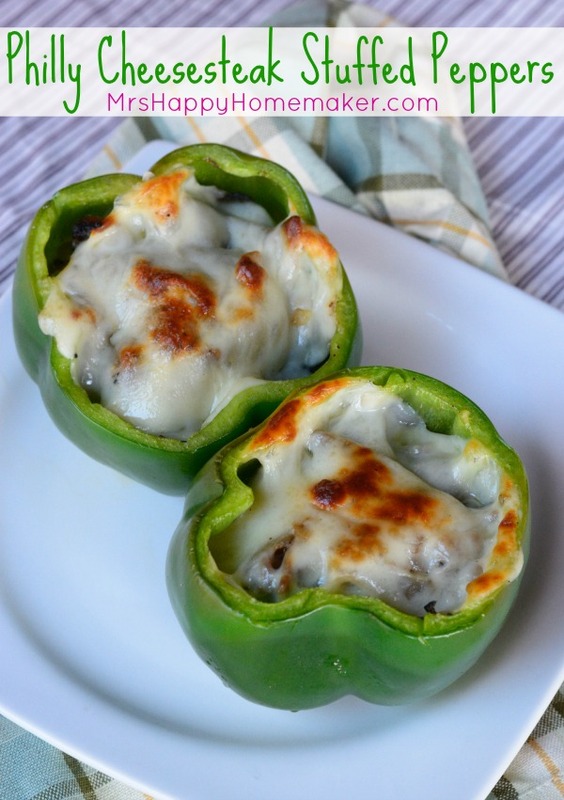 This super simple recipe will be for either Tuesday or Wednesday night, when we have evening activities, and need a quick and easy dinner. This is a tried and true family favorite that we have had several times now. 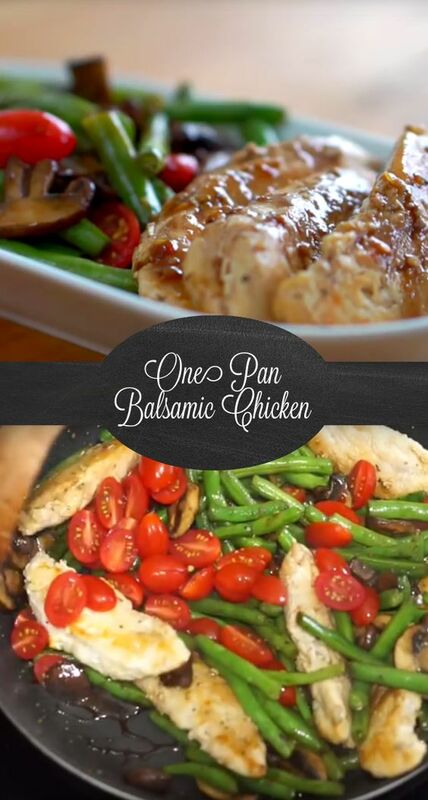 The balsamic vinegar makes a delicious sauce for the chicken and vegetables as everything cooks together. Added bonus: this one pot meal is super easy to clean up! Another easy dinner that takes no time to put together. I put a pork tenderloin in the slow cooker with a bottle of BBQ sauce. Cook it on low for 6-8 hours, then shred. Done! EASY! I put it on a bun, add a bit more sauce, then top with coleslaw. I make coleslaw by just shredding a bit of cabbage and a few carrots, and mixing it with some mayonnaise, red wine vinegar, and a bit of sugar, salt, and pepper. Add some french fries on the side, and dinner is served! I was supposed to make these last week (or the week before? ), but never did. We’re going to give them a try this week! Don’t these look amazing?! 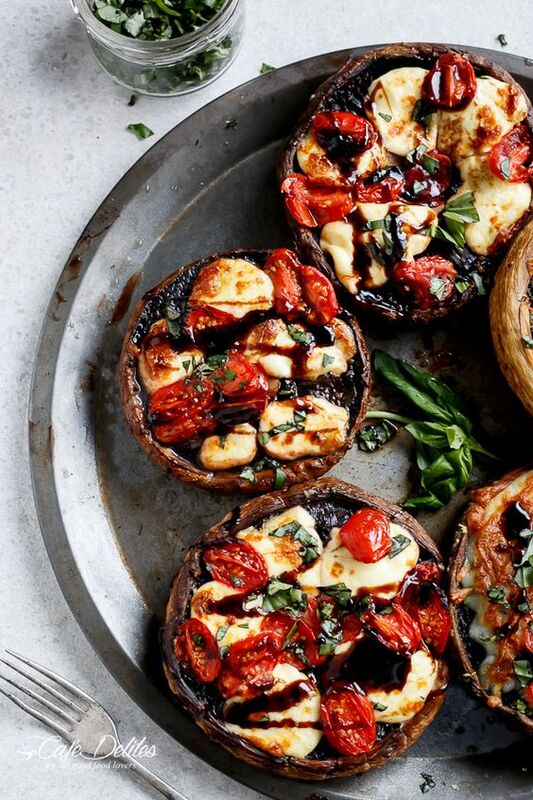 And what a great substitute for pizza or bruschetta. I am so anxious for these mushrooms! That’s it for us this week. What are you eating for dinner?